Goodreads was doing their annual Choice Awards for best books of 2015. In the final round of the category cookbooks the nominees included these 3 books which I'd never heard of so I checked them out of the library. All the books have a ton of color photographs which is really important to me. 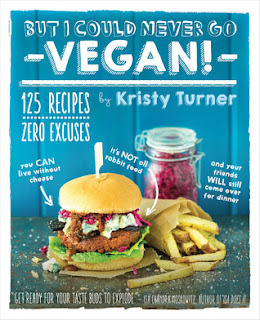 The first two books are vegan and while I'm not looking to become a vegan, I am always looking to reducing the amount of dairy in my meals as cheese in my weakness. I enjoyed these books because they offer clean, plant-based recipes for preparing new exciting, flavorful meals. Ella is a food blogger who suffered from a rare disease that left her bed ridden and when medicine didn't help she changed her diet. She said, "I made a rule when I first started eating this way that I’d never serve a salad as my main dish to non-heathy eaters, as no matter how delicious and beautiful the salad is it's still salad so it may still play into their stereotype that veggie food is only about salads!" 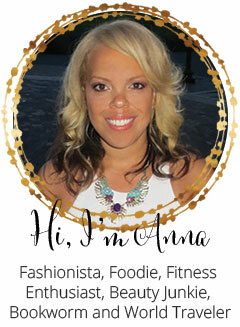 Her cookbook is filled with delicious recipes including a Coconut Thai Curry with Chickpeas, Black and Kidney Bean Chili, Lentil Bolognese, and smoothies. 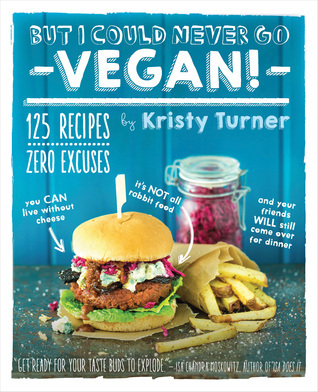 Kristy, another food blogger, was a former "die-hard cheese nerd" turned vegan. I love how she says,"No one cares about your protein intake until you become vegan." 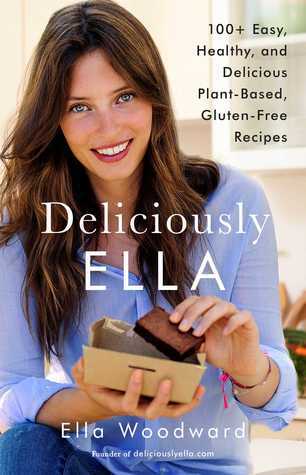 Her book includes delicious recipes such as Lentil-Mushroom meatloaf, Tempeh bacon, Mediterranean tofu scramble, Samosa cakes, Corn fritters, Lentil Curry, Cauliflower bisque, dairy free gnocchi alla vodka, and Pea Guacamole. This book is full of rich dishes and is the bible of all cookbooks at 400+ pages. You'll understand why being a vegetarian does not automatically mean you will be skinny. The recipes are American classics and from all around the world. It shows pictures of how to cut different vegetables.There's tons of delicious soup recipes and 5 different chili recipes! It has 4 different veggie burger recipes. There's a chapter on tofu, which you won't see much of in the other chapters. There's another chapter on salads and one on just eggs. 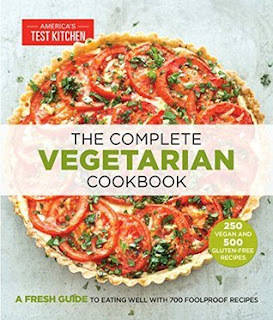 I think this book would really appeal to meat eaters wanting to add more meatless dishes to their menu. Ah! One of my best friends is a vegetarian and I am always looking for ideas for her. Thanks for sharing! 5 Highlights From My Trip to San Francisco!